Our heroes are on the cortex to inject Tyron's supercomputer with their virus. This should be their ultimate mission that will allow them to annihilate Xana. But it's a failure. They must wait twelve hours to be virtualised again, return to the cortex and finish their mission. Only, an unpredicted event happens. 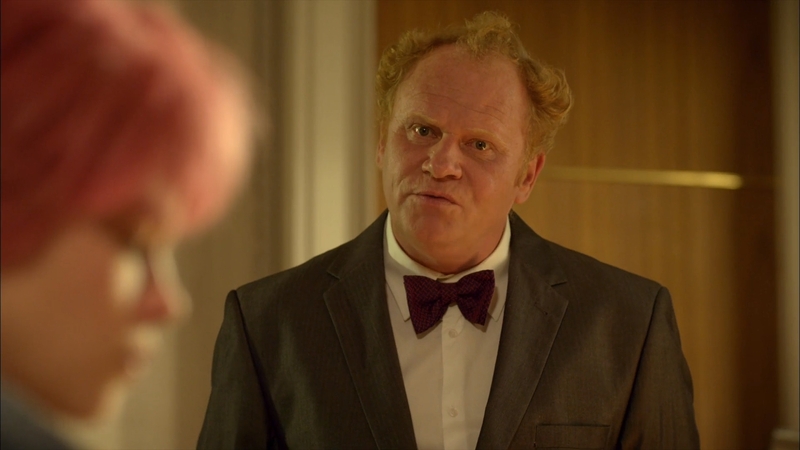 Tyron goes to the school and proves himself to be the legal guardian of Aelita! He gives her a terrible choice: find her mother again or infect his supercomputer. Aelita chooses to infect the supercomputer, convinced that her mother would agree with her. 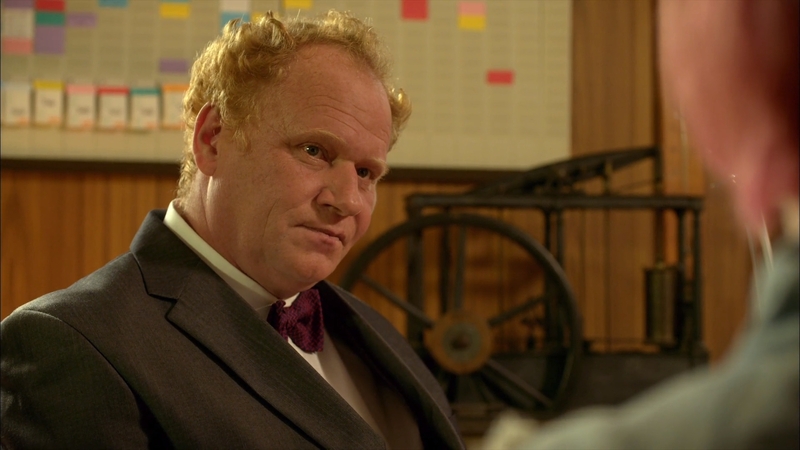 Seeing things get away from him, and wanting to avoid the destruction of his supercomputer by a virus at all costs, Tyron decides to shut it down. Odd, William, Ulrich and Aelita, who were already on the inside, risk being thrown into the digital sea forever. Our heroes get out of it just in time and turn their own supercomputer off, paralysing Xana. They've succeeded! Only, Tyron's supercomputer isn't really destroyed, just shut down. And if he manages to turn it on again and counter their virus... The Lyoko Warriors must remain on their guards. 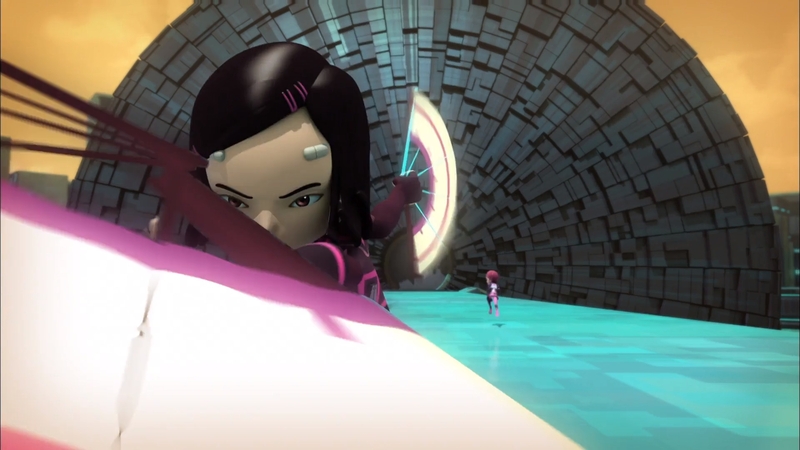 Aelita comes out of her daydream about her mother to answer to the other Lyoko Warriors. She's positive that she will find another way to contact her mother, even with Tyron's supercomputer destroyed. And given the enormous threat XANA poses to the entire world, Anthea could only be proud of Aelita for her decision. Her mind is made up: they will destroy the Cortex that very same day. All six members of the gang set off for the Cortex. When they arrive, William is forced to stay behind to guard the Skid while the others get to the Dome. Tyron has modified the Cortex's environment, meaning it will not change as they cross the terrain, but it shouldn't make a difference when they use the virus. The former XANA Warrior is given the green light to follow after the Megapod as Supersmoke. The gang must now wait 12 hours to go back. The next day, Aelita receives a call from Jeremy. The others are waiting for her at the factory. But as she leaves her room, she runs into Jim, who tells her that the principal wishes to see her. When she arrives, a man is waiting for her at the desk. Aelita recognises her visitor instantly and begins to back away, but Jim stops her. Tyron smiles back. The principal says that Aelita should be happy to learn the news the man brings: her mother is alive. Tyron reasons that she's probably in shock from the news; suddenly learning that her mother is alive, and remarried! Tyron is now her step-father! The others are getting impatient. 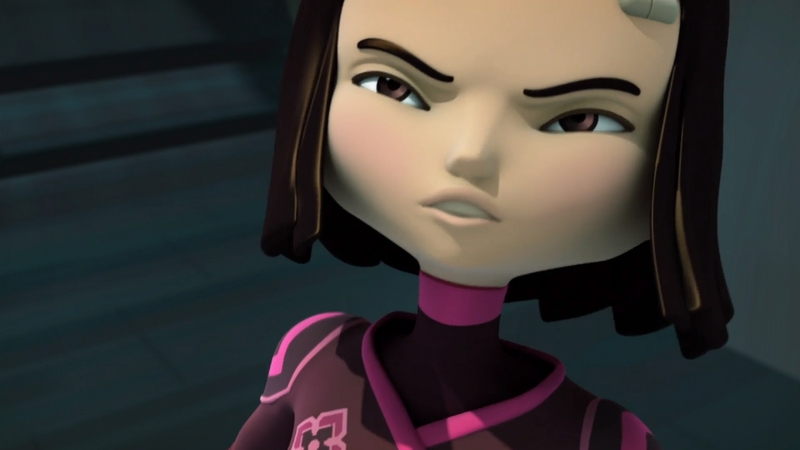 Yumi goes to look for Aelita while the others wonder if she possibly changed her mind about what they were about to do. They decide to wait on the Cortex to find out. 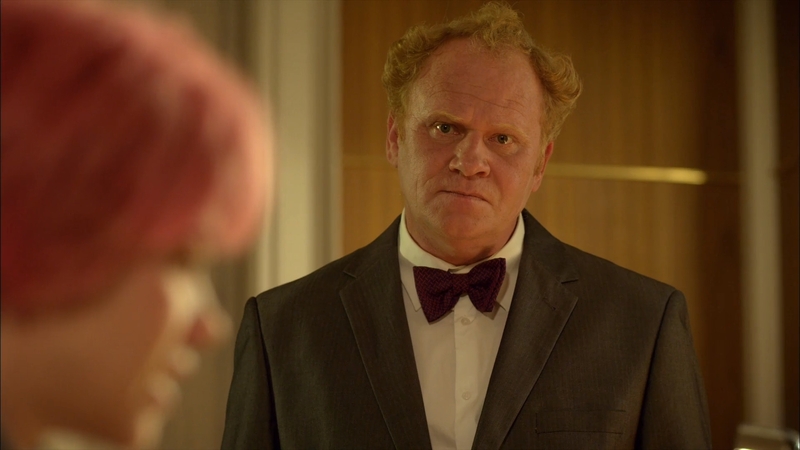 According to Tyron, he and Anthea have been married for four years, making him Aelita's legal guardian. He can take her back to Switzerland to see her mother again...but Aelita refuses, much to Delmas' confusion. Tyron presents her with a tablet which Anthea recorded a message for her daughter on. She says she's very happy to know that she's alive, and that Aelita can trust Tyron to reunite them. Tyron hands her a locket with a photo of a younger Aelita and Anthea inside. 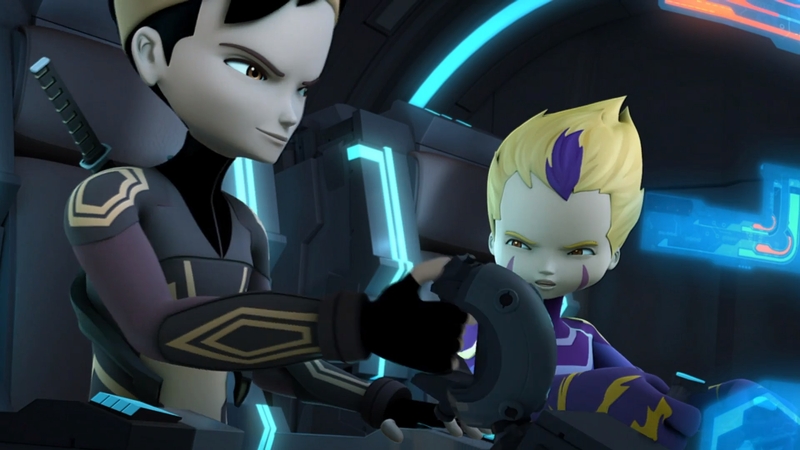 However, there's a catch: Aelita can only see her mother again if she agrees not to try and destroy the Cortex supercomputer! Aelita adamantly refuses: XANA is too big a threat. This is when Yumi bursts in and discovers the scene. She and Aelita flee, and Tyron calls his chauffeur to help him look for the girls in the park with a GPS device tracking the locket Tyron gave to Aelita. Yumi takes the locket (from which Aelita removed the photo) and walks around the park to lead the men away from the lab while Aelita heads to the factory. Aelita virtualises next to the Skid and she and the boys set off on their respective vehicles. They make it to the Dome without any trouble. Yumi wanders through the park, examining the locket now and then. She is suddenly grabbed by Tyron, who snatches the locket from her hand. The chauffeur arrives and restrains her, and Tyron tries to interrogate her as to Aelita and the others' location. Yumi gives no response. Tyron makes a phone call...ordering one of his workers to shut the supercomputer down! 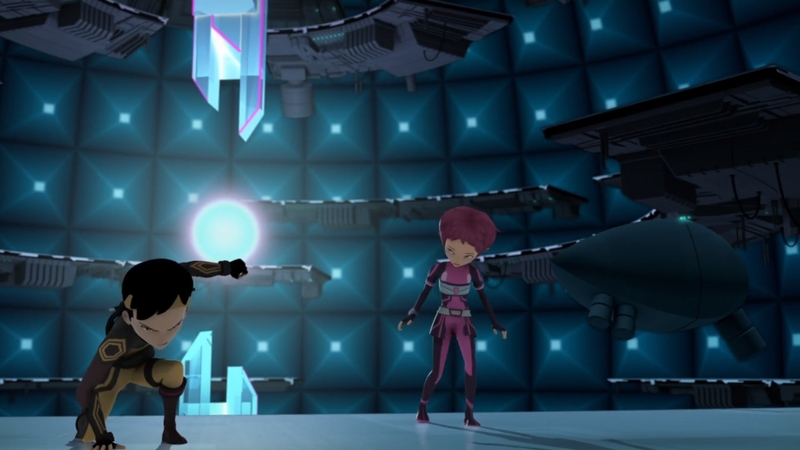 Aelita and Ulrich enter the Dome while Odd and William stand guard outside. When they reach the interface, the large white sphere in the centre begins to dim. The platforms around them slowly start to float down towards the floor. The supercomputer is being shut down! Aelita works on, opening a path for the virus. If they don't succeed, Tyron will just wait a while and turn it back on again. 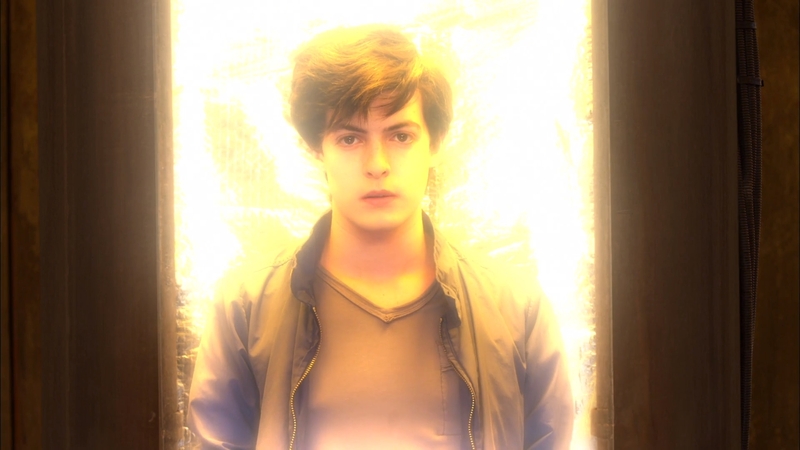 The path open, Jeremy tries to bring them back in...but nothing happens! The shutdown procedure is blocking their signal! The four Warriors on the Cortex are forced to flee! The platform tips, creating steep a slope. All four of the teens slide down it and off the edge. The Dome explodes. The scanners don't open. She's welcomed to the lab by everyone else, safe and sound. The virus was transmitted, but didn't take effect. It will destroy the supercomputer once it's turned back on again...unless Tyron develops an antivirus and stops it from working, reviving XANA once again. 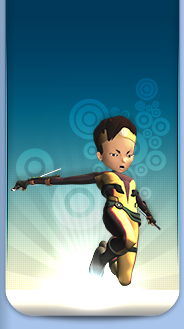 And as long as Lyoko is active, XANA still has a way of escaping. They too must turn their Supercomputer off...for now. But they will always be ready for whatever may happen in the future. The Lyoko Warriors assemble behind the control panel. Jeremy removes the key and the supercomputer descends into the floor of its chamber, the lights going out one by one. - When Aelita arrives in the Cortex the second time, she is not virtualised, but transferred. She does not appear in a cross position above the ground, but standing on the ground, and the animation is different.